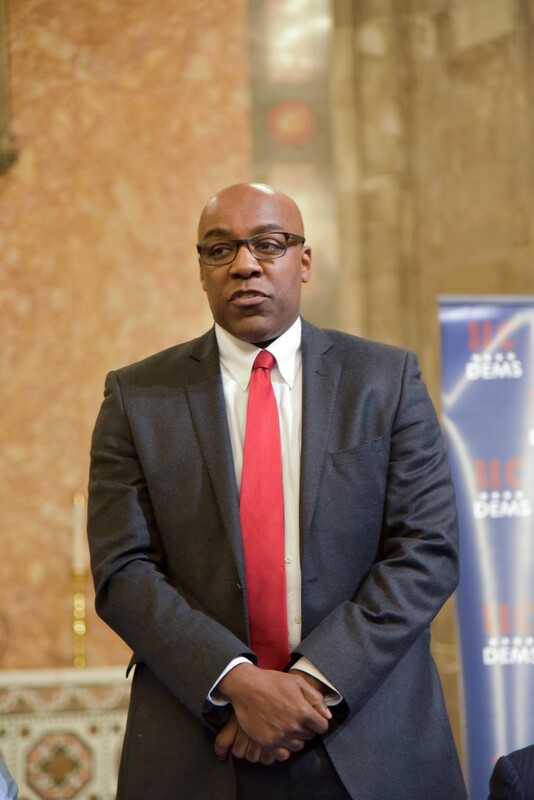 Kwame Raoul represents parts of Hyde Park in the State Senate and is running to be Illinois's Attorney General. Good morning. Our highlights from this week include: Mayor Rahm Emanuel announced that Chicago Police Department officers will be equipped to provide naloxone, an opioid overdose antidote; State Senator Kwame Raoul announced a bill that would give individual citizens the right to legally challenge permits issued by state regulators, following controversy over a proposed silica sand mine in LaSalle County; President Donald Trump signed a bipartisan budget bill, averting a government shutdown and addressing some congressional spending concerns without providing a DACA fix.